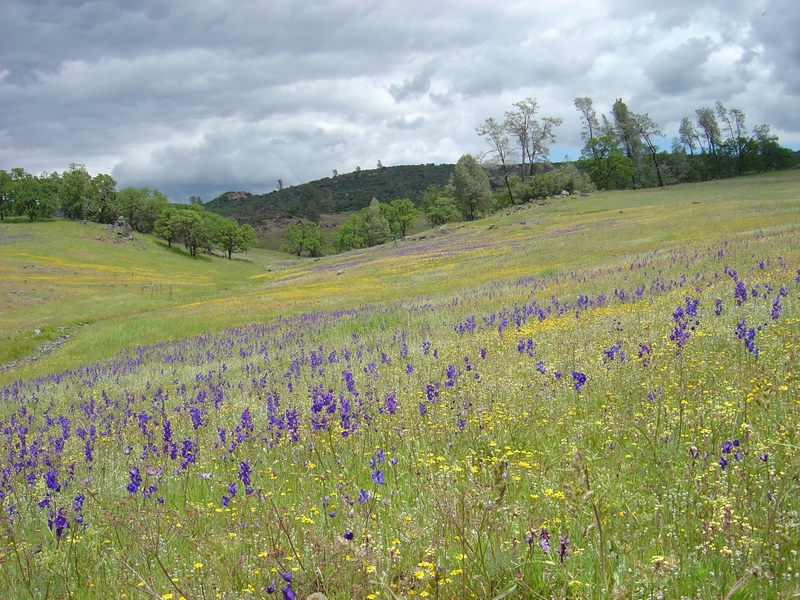 Native wildflowers in California are losing species diversity after multiple years of drier winters, according to a study from the University of California, Davis, which provides the first direct evidence of climate change impacts in the state's grassland communities. The study, covered in TIME, LA Times, and elsewhere, was published in the journal Proceedings of the National Academy of Sciences. It's based on 15 years of monitoring about 80 sampling plots at McLaughlin Reserve, part of UC Davis' Natural Reserve System. The researchers confirmed that drought-intolerant species suffered the worst declines. Similar trends have been found in other Mediterranean environments, such as those of southern Europe, bolstering the case for increased climate change awareness in the world's semi-arid regions. 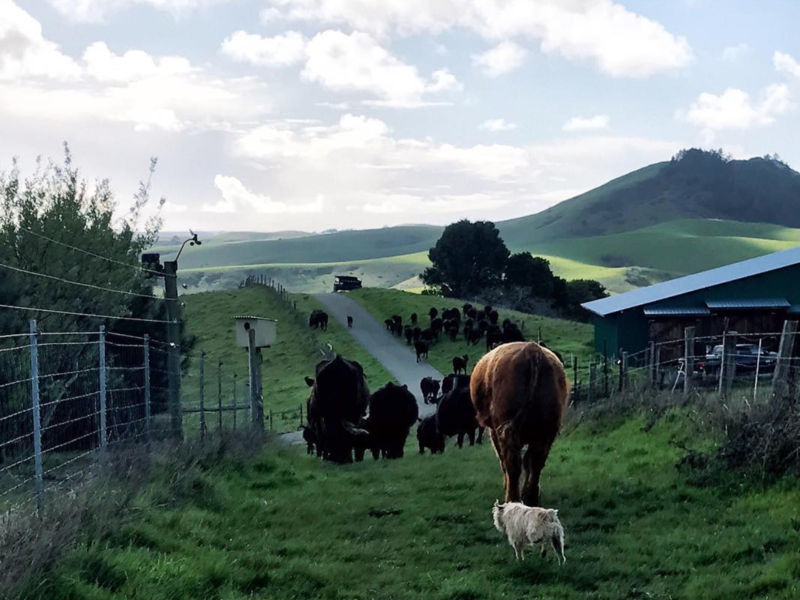 Taken together with climate change predictions, the future grassland communities of California are expected to be less productive, provide less nutrition to herbivores, and become more vulnerable to invasion by exotic species, the study said. 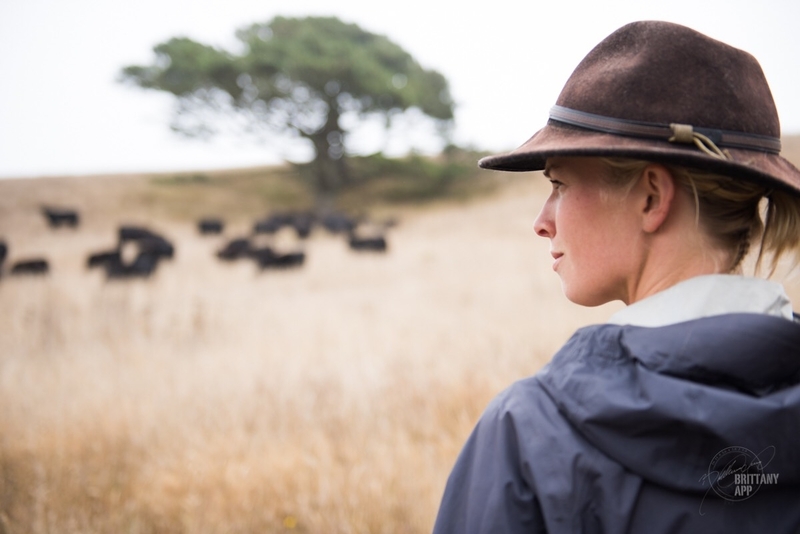 The researchers expect these negative to cascade up through the food web—affecting insects, seed-eating rodents, birds, deer and domesticated species like cattle, all of which rely on grasslands for food. Grasses and wildflowers may be able to withstand the current drying period through their extensive seed banks, which can lie dormant for decades waiting for the right conditions to germinate. However, California's drought is expected to intensify in the coming decades, so this rescue effect may end up being too late for some species. Can't live with them, can't live without them — at least not at first when it comes to the relationship between some invasive and endangered species. Efforts to eradicate invasive species increasingly occur side by side with programs focused on recovery of endangered ones. But what should resource managers do when the eradication of an invasive species threatens an endangered species? In a recent study published in the journal Science, researchers at the UC Davis examine that conundrum now taking place in the San Francisco Bay. The California clapper rail — a bird found only in the bay — has come to depend on an invasive salt marsh cordgrass, hybridSpartina, for nesting habitat. Its native habitat has slowly vanished over the decades, largely due to urban development and invasion by Spartina. Their results, picked up by TIME magazine, showed that, rather than moving as fast as possible with eradication and restoration, the best approach is to slow down the eradication of the invasive species until restoration or natural recovery of the system provides appropriate habitat for the endangered species. 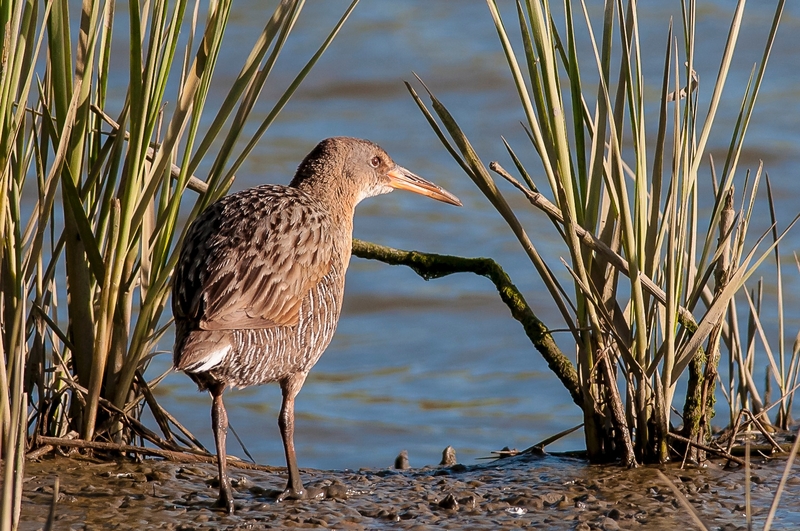 The scientists combined biological and economic data for Spartina and the clapper rail to develop a modeling framework to balance conflicting management goals, including endangered species recovery and invasive species removal, given budgetary constraints. While more threatened and endangered species are becoming dependent on invasive species for habitat and food, examples of the study's specific conflict are rare. The only other known case where the eradication of an invasive species threatened to compromise the recovery of an endangered one is in the southwestern United States, where a program to eradicate tamarisk was canceled in areas where the invasive tree provides nesting habitat for the endangered southwestern willow fly-catcher. “As eradication programs increase in number, we expect this will be a more common conflict in the future,” said co-author and UC Davis professor Ted Grosholz. 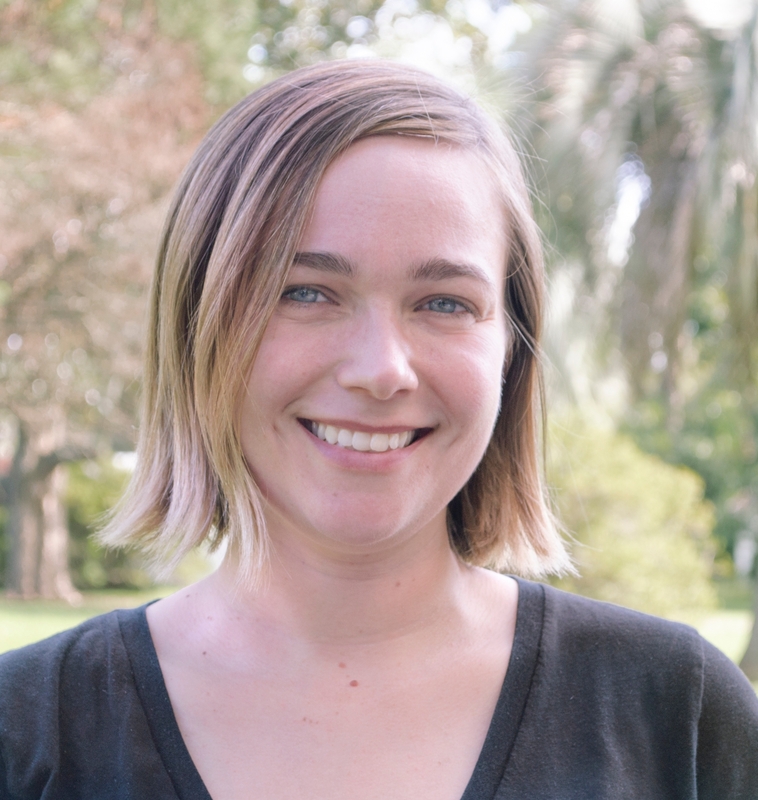 The scientists used data from Grosholz's lab as well as from the Invasive Spartina Project of the California Coastal Conservancy in their analysis. Spartina alterniflora was introduced to the San Francisco Bay in the mid-1970s by the Army Corps of Engineers as a method to reclaim marshland. It hybridized with native Spartina and invaded roughly 800 acres. Eradication of hybrid Spartina began in 2005, and about 92 percent of it has been removed from the bay. The cordgrass has also invaded areas of Willapa Bay in Washington state, where efforts to eradicate it are nearly complete, and invasive Spartina has been spotted and removed from Tomales Bay, Point Reyes and Bolinas Lagoon in California. The study, led by UC Davis postdoctoral fellow Adam Lampert, was funded by the National Science Foundation Dynamics of Coupled Natural and Human Systems Program. Co-authors include UC Davis environmental science and policy professor James Sanchirico and Sunny Jardine, a Ph.D. student at UC Davis during the study and currently assistant professor at University of Delaware. “This work is significant in advancing a general, analytical framework for cost-effective management solutions to the common conflict between removing invasive species and conserving biodiversity,” said Alan Tessier, program director in the National Science Foundation Division of Environmental Biology. 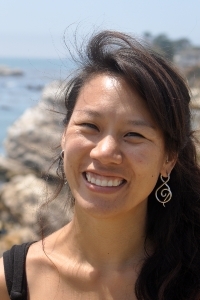 More than a decade ago, Ruihong Zhang, a professor of biological and agricultural engineering at the University of California, Davis, started working on a problem: How to turn as much organic waste as possible into as much renewable energy as possible. Last week, on Earth Day, the university and Sacramento-based technology partner CleanWorld unveiled the UC Davis Renewable Energy Anaerobic Digester (READ) at the campus' former landfill. Here, the anaerobic digestion technology Zhang invented is being used inside large, white, oxygen-deprived tanks. Bacterial microbes in the tanks feast on campus and community food and yard waste, converting it into clean energy that feeds the campus electrical grid. “This technology can change the way we manage our solid waste,” Zhang said. “It will allow us to be more economically and environmentally sustainable." It is the third commercial biodigester CleanWorld has opened using Zhang's technology within the past two years and is the nation's largest anaerobic biodigester on a college campus. The system is designed to convert 50 tons of organic waste to 12,000 kWh of renewable electricity each day using state-of-the-art generators, diverting 20,000 tons of waste from local landfills each year. It is expected to reduce greenhouse gas emissions by 13,500 tons per year. The READ BioDigester encompasses several of the university's goals: reducing campus waste in a way that makes both economic and environmental sense, generating renewable energy, and transferring technology developed at UC Davis to the commercial marketplace. The biodigester will enable the more than 100 million tons of organic waste each year that is currently being landfilled in the U.S. to be converted to clean energy and soil products. The READ BioDigester is a closed loop system, moving from farm to fork to fuel and back to farm. 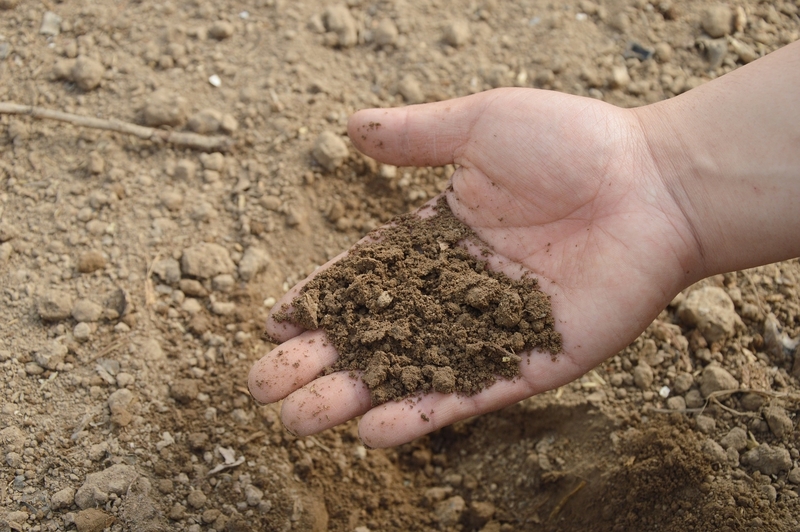 Whatever is not turned into biogas to generate renewable electricity can be used as fertilizer and soil amendments — 4 million gallons of it per year, which could provide natural fertilizers for an estimated 145 acres of farmlands each day. Nearly half of the organic waste, or feedstock, needed to operate the biodigester to full benefit will come from UC Davis dining halls, animal facilities and grounds. CleanWorld is working with area food processing and distribution centers to supply the remaining amount. Meanwhile, UC Davis will earn 100 percent of the project's green energy and carbon credits and receive all of the electricity generated. 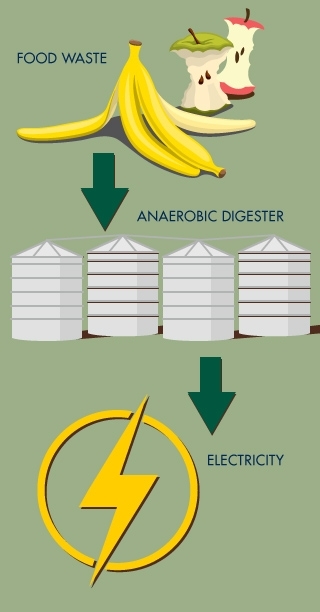 Anaerobic digestion is an age-old process. However, Zhang's patented technology made it more efficient — capable of eating a broader variety and bigger quantity of waste, turning it into clean energy faster and more consistently than other commercial anaerobic biodigesters.